Already 4,000+ views - KOKOMO recorded on Feb 21 at The Half Moon Putney www.youtube.com/watch?v=x3mS5FV3Uz4. Check it out and please feel free to share. 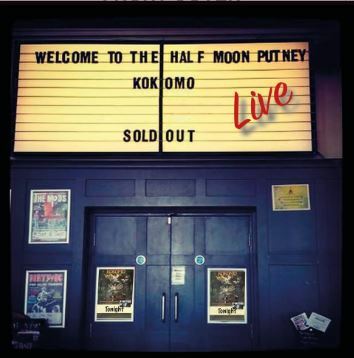 Join us on Thursday 21 February, from 9PM GMT, for an exclusive live stream of KOKOMO's concert at the HALF MOON in Putney, both on Kokomo's Facebook page and on Youtube at www.youtube.com/c/cmfcallmefred/live.